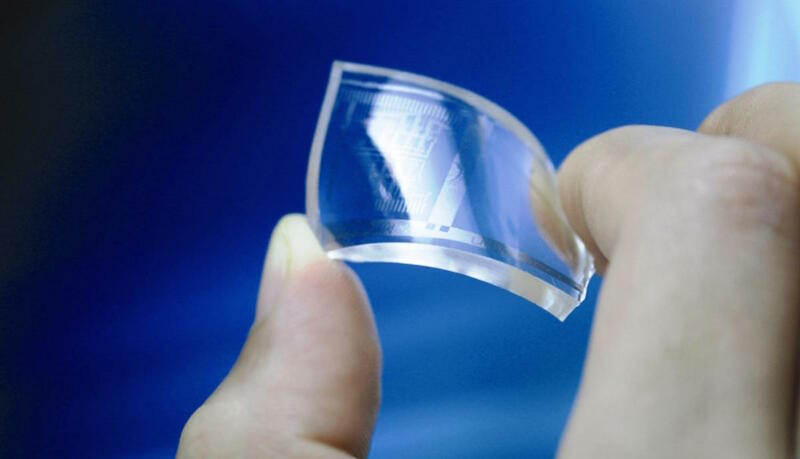 Is graphene about to live up to its potential? Do you remember Champion the Wonder Horse? He could untie knots, roll over, play dead, and help Gene Autry find true love. Graphene's a bit like that, except it isn't a horse. It's a miracle material that is going to change the way wearable tech looks, feels and works. And it's coming your way fast. Last month we reported on SweatSmart, a new wearable sensor that uses graphene to analyse your electrolytes and hydration in real-time. While that's kind of a niche use case the big story was the commercial use of graphene sensors. But what is this magical technology and why is it so important to wearables? Read on for a detailed look at what graphene can do for you. You've probably encountered graphene already, because you make it when you draw with a pencil. It's an incredibly thin lattice of carbon, and it manages to combine apparently incompatible properties. It's incredibly tough yet incredibly light, it's just an atom thick but you can see it with the naked eye, it's 200 times stronger than steel and more flexible than an olympic gymnast, it's fire resistant but a superb conductor of heat. So what does that mean for wearables? Making devices that are slender enough to look and feel good without compromising their usefulness is a huge challenge for wearables designers, so anything that can make components smaller without sacrificing power or stamina is a good thing. Graphene can help in that department. Researchers at the University of Manchester have created the world's smallest transistor from graphene and, because the material is so thin and conducts electricity at room temperature, it could be used in smaller, more efficient semiconductors too. At Rice University in Texas, researchers have been creating graphene-based supercapacitors that offer exceptional flexibility and power, and which can be manufactured on an industrial scale. The researchers found that the super-capacitors could be flexed more than 8,000 times with little or no loss of performance, and that they could be charged and discharged thousands of times. Graphene could also help reduce the bulk of the non-electronic bits. Graphene's diamond-hardness means it can be used to create composite materials that are both tougher and thinner than the materials used in today's wearables. For example, graphene has been used to make carbon fibre even stiffer. Fancy a see-through screen you can wrap around your wrist or fold away when you don't need it? Researchers at Manchester University - yes, them again; they're leading the field in graphene research - have developed a technique that creates an "LED heterostructure", which is an LED that's only ten to forty atoms thick. We're still some way from seeing an actual product using the technology - even the first generation of such screens is several years away - but the breakthrough could mean the creation of very thin, very flexible displays for smartwatches and other wearables. Rather than have devices whose shape incorporates a screen, which is where we are now, we could have wearables whose entire surface is a screen. That's assuming the device needs a screen, of course. Wearable smart jewellery - devices whose primary job is to look good while also recording key information such as what your body's up to - fitness bands, medical monitors and smart clothing could benefit from graphene too, because adding it to existing materials can make them smarter. For example in 2014, a team of Irish scientists developed durable, flexible wearable sensors by adding graphene to shop-bought rubber bands, and found that the sensors could detect the tiniest movements to track breathing and pulse rates. The sensors were self-powered too: the movement of the rubber generated the electric current. Perhaps gadget-charging trousers aren't so far off after all. Most modern devices run on lithium-ion batteries, but while lithium-ion delivers decent power the batteries remain bulky, inflexible and potentially dangerous if damaged. Changing that is something the military is particularly interested in, because modern soldiers carry lots of tech - and that means carrying lots of heavy batteries too. So you can be sure they're chucking money at graphene research, because it promises to make existing batteries more efficient and considerably more flexible. One promising area of research is in lithium sulphur batteries, which can deliver 20 times more energy from a charge than lithium ion can do, for less money, with less weight, and without the toxicity and explosive issues of Li-Ion. There's just one problem: sulphur batteries don't last for very many charges. By creating a kind of graphene scaffold for the sulphur compound, researchers in Cambridge and Beijing found a way to improve longevity - and as a side-effect, they improved the batteries' connectivity too. Graphene also has potential in new kinds of batteries, such as aluminium ones. Aluminium is a much better material for batteries than lithium - you can make batteries smaller, lighter and cheaper while packing more power into each one, and they don't go bang if you damage them - but aluminium-based batteries suffer from a lack of stamina, losing significant performance after just a few charge cycles. Once again graphene can help here: earlier this year researchers found that aluminium batteries made with graphene foam were stable for up to 7,000 charge cycles. It's a very long way from production - the battery may have been stable, but it wasn't as energy-dense as a lead-acid battery, let alone a lithium one - but it demonstrates that graphene has potential not just to improve the batteries we have now, but to help create new kinds of battery too. Almost everything you'll read about graphene is about potential, not products you can actually buy and use. However, that's changing. Graphene has already been used in sporting materials such as tennis rackets, and later this year the first graphene lightbulb will go on sale. Many of the things we've talked about here will undoubtedly happen. But whenever you're hearing about a miraculous new material, it's important to think about chickens. About 50 years ago, carbon fibre got the same kind of coverage graphene's getting today. One obvious application was in aerospace. Rolls-Royce used a carbon fibre composite called Hyfil to make the turbine blades of its RB211 engine, which seemed absolutely brilliant until they fired a chicken at it to simulate a bird strike. The blades shattered. Carbon fibre is everywhere today, but it's yet to transform the jet engine. There's a good chance that somewhere, there's another chicken out there with graphene's name on it.